In Obstetric Medicine at The Boris Clinic, we assess, advise, and treat medical problems a woman may experience before or during a pregnancy. We are available for immediate consultation if and when medical problems arise unexpectedly to provide care to the woman and her baby. We provide outpatient clinic consultations (usually within 2 – 3 weeks of referral), although we can arrange appointments more urgently, even same day if necessary. 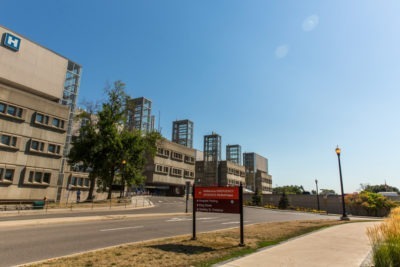 We also provide inpatient assessments at McMaster University Medical Centre as well as consultations for admitted pregnant patients at Hamilton hospitals on a case-by-case basis. We provide a full Medical Specialist consultation and can expedite access to other specialists or treatments through the Medical Day Care Unit as necessary. Our aim is to provide a comprehensive assessment and plan for management of the woman’s medical problem(s). This may be as simple as an expert assessment and reassurance or more complex, sometimes involving coordinating a number of other specialist services. Our goal is to minimize health problems to ensure woman and baby are as safe and healthy as possible. Tuesday, Wednesday, Friday: 9:00 a.m.- 12:30 p.m.